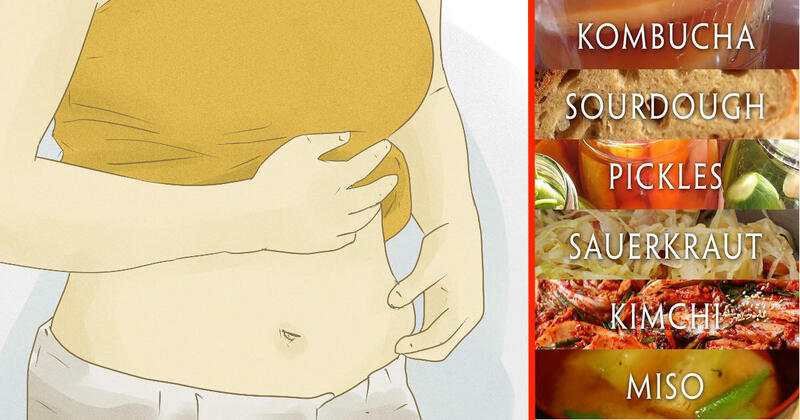 Unhealthy Gut Bacteria Makes It Harder For You To Lose Weight But These 18 Foods Can Fix This! You might not think much about it but your microbiome actually plays a role in your ability to lose weight and keep it off for the long-term. The human body has as many bacteria as human cells (1). Taking this into account, some researchers have found that some bad bacteria are actually responsible for producing toxins that make you more prone to be insulin resistant. In case you didn’t know, insulin resistance makes it very hard for your body to burn fat as energy. In addition, an imbalance of gut bacteria can cause inflammation, contribute to diabetes and make it difficult to lose weight. Fortunately, there are foods you can eat to ensure that you have more good bacteria in your body to help keep the bad ones under control. And the best part is that gut bacteria respond quite fast to a change in diet. Simply eating the types of food that healthy gut bacteria thrive and multiply on can help you manage your weight in no time! Just add one to three servings a day of these prebiotic and/or probiotic foods. Eating these will not only help you lose weight but it’ll also help prevent sugar cravings. The bottom line is that the healthier your gut bacteria, the easier it’ll be for you to lose weight. 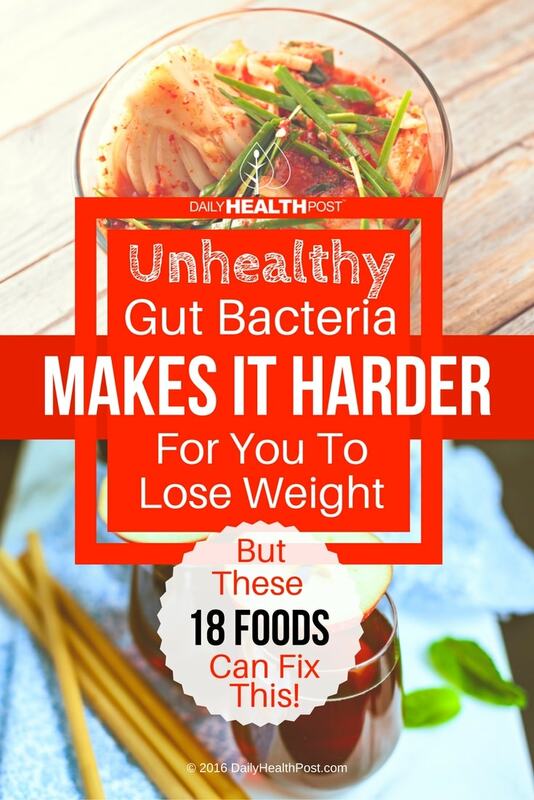 Latest Headlines » Weight Loss » Unhealthy Gut Bacteria Makes It Harder For You To Lose Weight But These 18 Foods Can Fix This!